Logic bombs, though different than a computer virus, act in similar ways to execute a dangerous attack like erasing files or an entire hard drive at a specific time when triggered by a specific event. Logic bombs are programs or pieces of a program that can be designed to “detonate” on a particular date and time or when a specific file is deleted. They can also detonate when a hard drive reaches a predetermined capacity level. Logic bombs, according to security experts, are typically installed on a computer or system by someone who has inside access to the that system, such as an employee. In many instances, a logic bomb is created and left by a disgruntled employee. In one instance that made national headlines, the systems administrator for a company installed a logic bomb on a computer system. The hope was that the damage it would cause would manipulate the company’s stock prices. The suspect’s logic bombs erased computer files, and he was ultimately charged with federal crimes related to computer and securities fraud. Logic bombs can install codes with fake applications, or place a Trojan horse onto a computer system. Spyware can also be combined with logic bombs to steal someone’s identity. Hackers have been known to install keyloggers onto a victim’s computer to see every keystroke made on the victim’s system. This could provide criminals with private information such as usernames and passwords or bank account details. 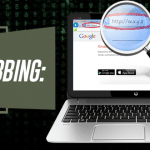 The spyware works with the logic bomb, which is detonated once the victim triggers a certain action, like visiting a banking website or social media program. The logic bomb would essentially detonate, triggering the keylogger and stealing identity information that will be sent to a hacker. How do I avoid the threat of a logic bomb? Constantly monitor your system with antivirus software and other programs that scan for new files that might be placed on a computer. This will be necessary not only for the larger network as a whole, but each computer using that network should also be monitored individually. Consider restricting access and responsibilities for your employees. Ensure your computer and systems are backed up and available for recovery in the case of a logic bomb being used maliciously on your system. Logic bombs can be embedded inside Trojan horses, so use caution to avoid malicious software products disguised as legitimate ones. Don’t download pirated software, and avoid suspicious email attachments that could contain logic bombs or other malicious programs. Keep your operating system updated so it’s aware of the latest threats that exist and can detect their presence. A logic bomb executes a cyber attack like erasing files or an entire hard drive at a specific time when triggered by a specific event.